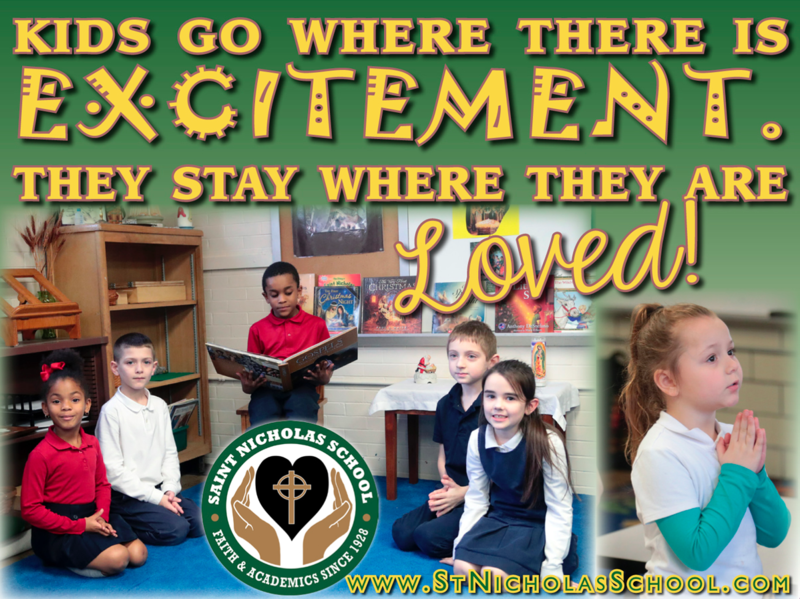 St. Nicholas students have a strong connection to our parish through daily interaction with our Pastor, regular participation at school Masses and frequent opportunities to practice their Catholic values. As a result, students reflect an attitude and school pride within and outside of school. 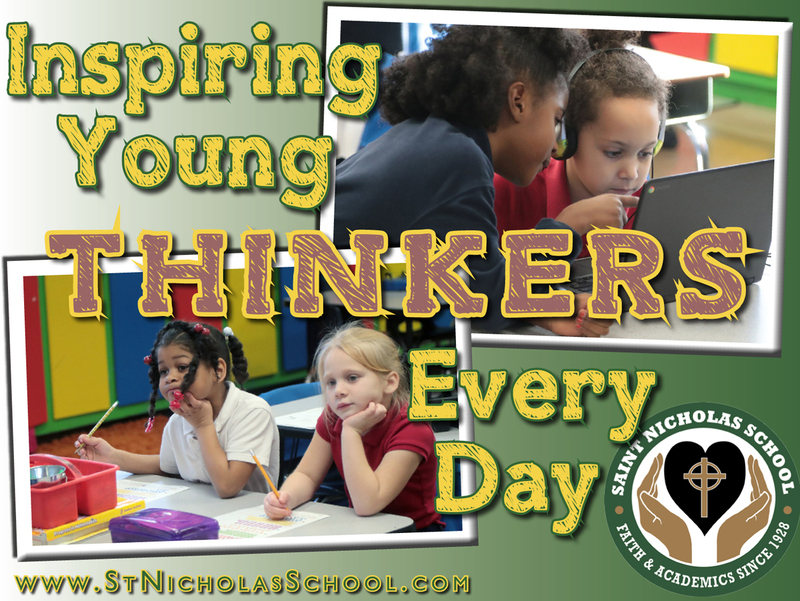 St. Nicholas School creates an interactive classroom environment through the use of educational technology, such as SMART Boards, ELMOS, and computers in every classroom. Our students consistently perform well in local and state academic competitions such as the National Engineers Week Future City competition and the EOCTM elementary Math Contest. They are also often recognized by high school teachers for their strengths in knowledge, self-discipline and respect of others. 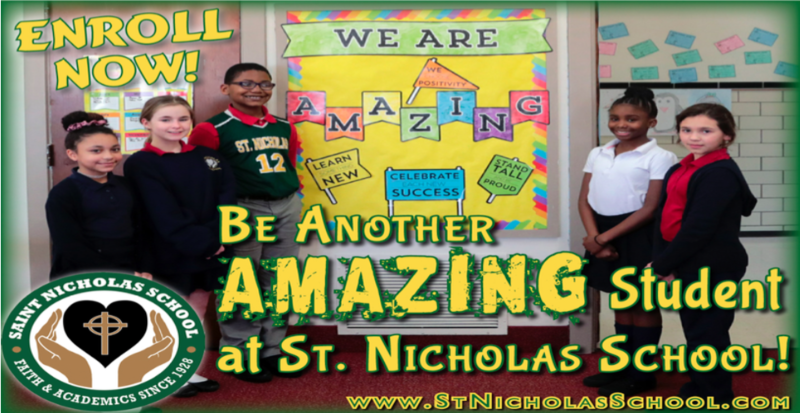 St. Nicholas school is committed to maintaining a secure environment. Doors to the school are locked at all times and the main entrance is monitored and opened electronically through the main office. Student safety is reinforced through repeated fire, tornado and lock down drills. Due to a caring faculty and an extremely involved pastor, our students learn to give from their hearts, having a respect and a responsibility toward themselves and others that will stay with them for the rest of their lives.